The UN guidelines shift on urban and territorial planning will benefit local authorities. The meeting of UN Habitat “Global Symposium on Urban and Territorial Planning” took place in Fukuoka, Japan, last 21st of July. UN Habitat, UCLG and other partners reflected and committed to build capacities and promote the International Guidelines on Urban and Territorial Planning (IGUTP), as well as connecting the IGUTP as a framework for the city support programs citylabs. 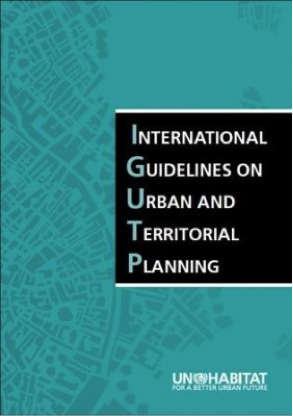 The IGUTP, are a core piece for the country programs to UN Habitat, and might be of interest to UCLG members which are active in urban planning and that have committed to review and renew planning practices aligning with the Sustainable Development Goals (SDGs). Since its adoption in 2016, IGUTP became the most downloaded UN Habitat’s document ever (120.000 downloads) and in UN Habitat teams on planning (globally). In particular, UN Habitat’s Asian and Africa country teams have promoted and applied the IGUTP guidelines on urban and territorial planning in several country programs. Over the years the guidelines were developed, UCLG has committed as partner and has successfully lobbied for a stronger role for local and regional governments, as well as to consider strategic planning as political tool. UCLG looks forward to sharing knowledge about global agendas with more city practitioners, as well as with academic partners that work in the preparation of future planners and government officials.